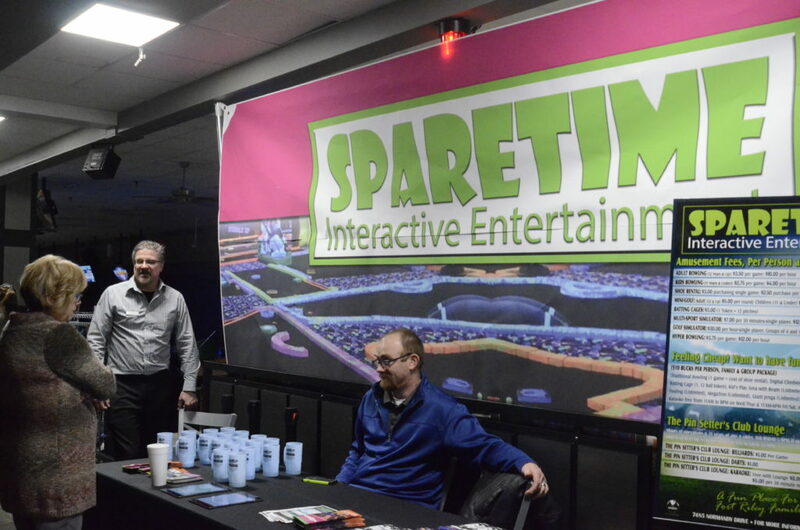 FORT RILEY — A ribbon cutting was held Thursday for Fort Riley’s newly renovated SpareTime Interactive Entertainment Center. 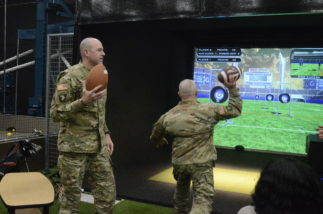 The entertainment center will give soldiers on base a place to spend their “spare time” but also have interactive activities available to any general member of the public to partake in. 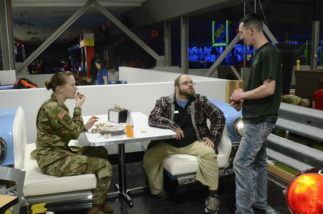 Visitors who don’t have a Department of Defense ID card can obtain a pass at the Visitor Control Center near the Henry Gate, Exit 301 off of Interstate 70.
Business Manager Nicole Trolio tells KMAN the building is finally complete after two years of renovations with some exciting new attractions. 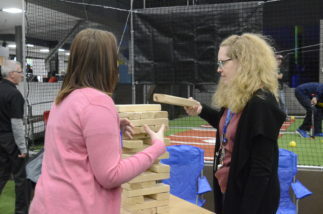 Along with all the games they have two other areas where you can eat. They also have one of the largest screens in the area to watch big sporting events, like the Chiefs game vs. the Patriots. A number of specials are taking place through this opening weekend. 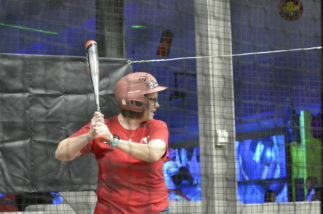 SpareTime is open to the public, located at 7485 Normandy Drive.